Sometimes simplicity is best. 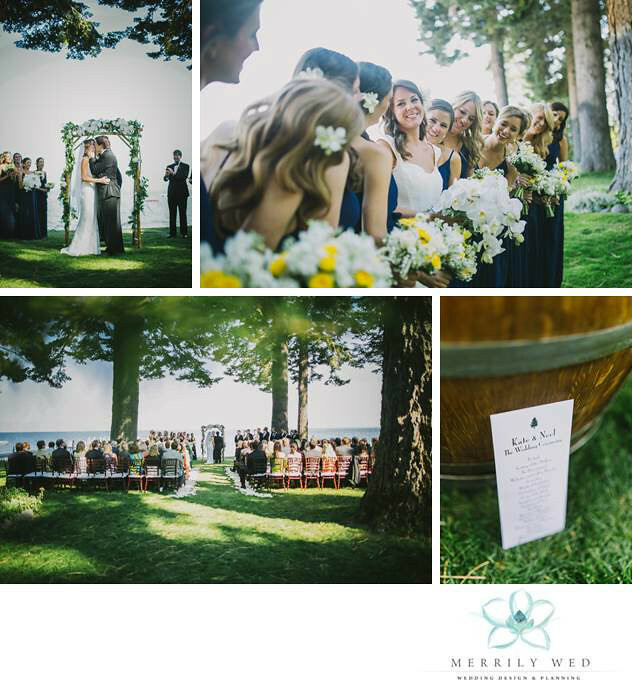 A classic navy, yellow and white wedding color palette with organic green touches created the perfect lakefront setting for Kate and Neel’s Lake Tahoe wedding. Hailing from the grand Lone Star State, they brought a small entourage into town including their hometown pastor. 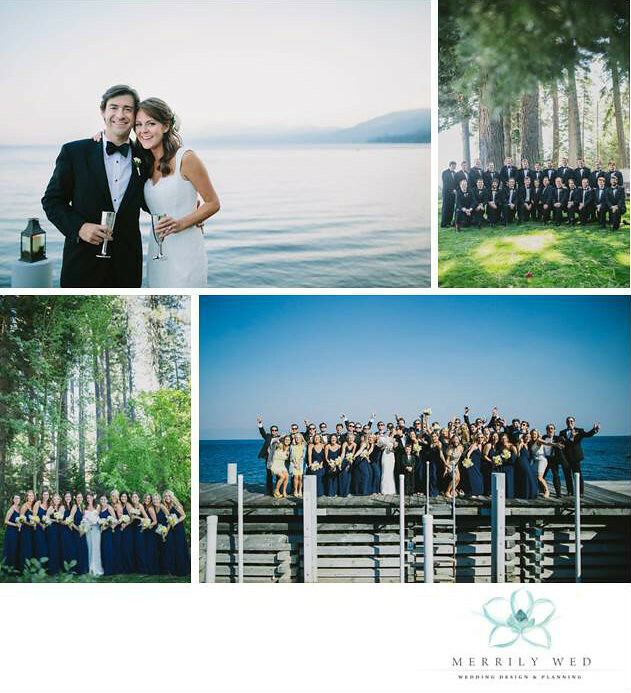 With 145 guests in attendance, their wedding transcended beyond their wedding day into a memorable vacation for all. 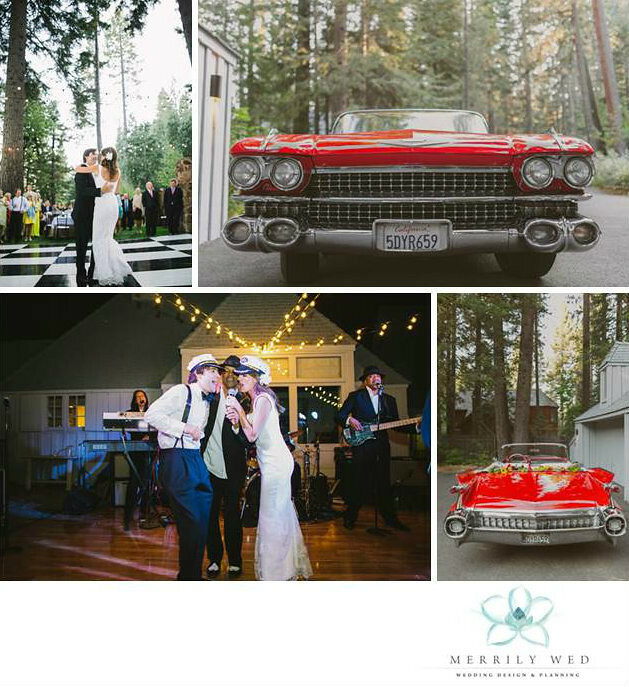 From arguably the largest wedding party ever (we love you guys, really!) coupled with the fabulous House Party gals too (it’s a southern thing), a megaphone could have been used for the ceremony rehearsal. 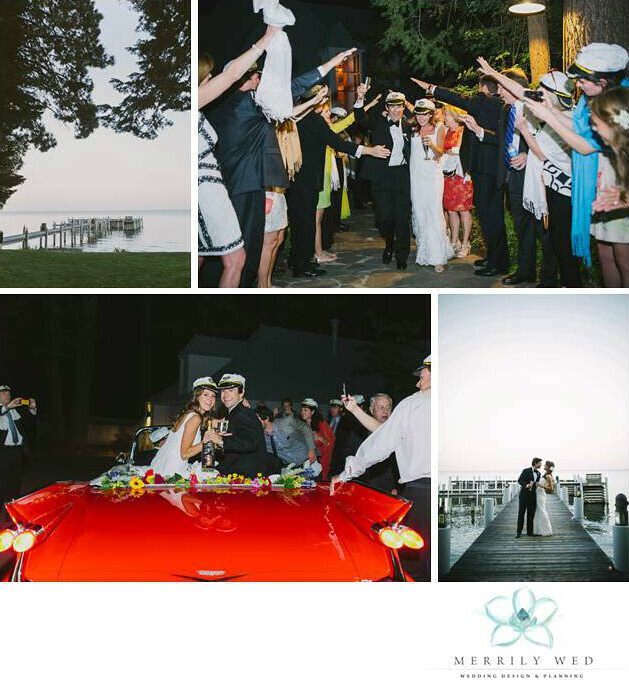 Their wedding celebrations started with a bang and the small party never ended! 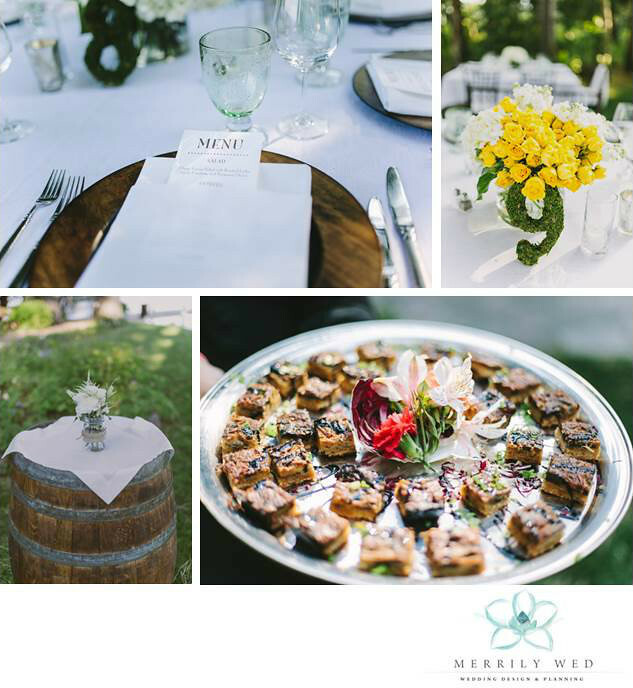 And this small party grew into a loved-filled celebration honoring Kate and Neel the following day. 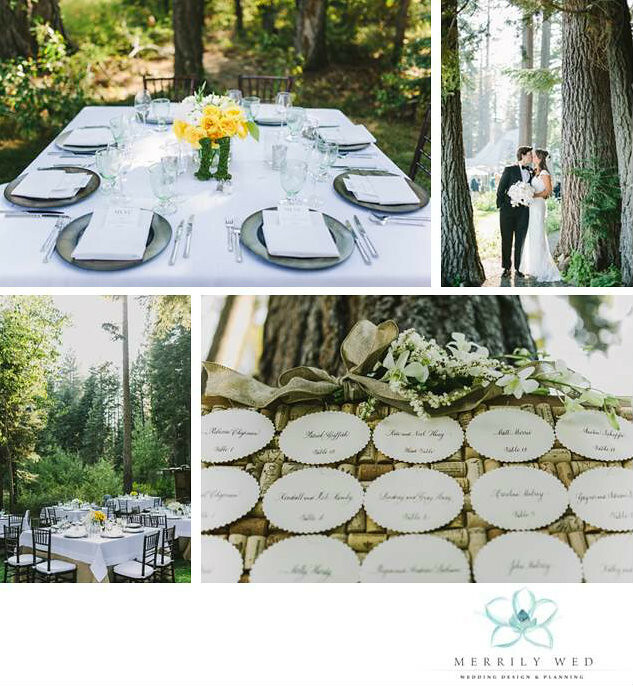 Tears, hugs and laughter made their wedding day unforgettable. Our faces ached at the end of the night from smiling and laughing so much and we know that we weren’t the only ones! 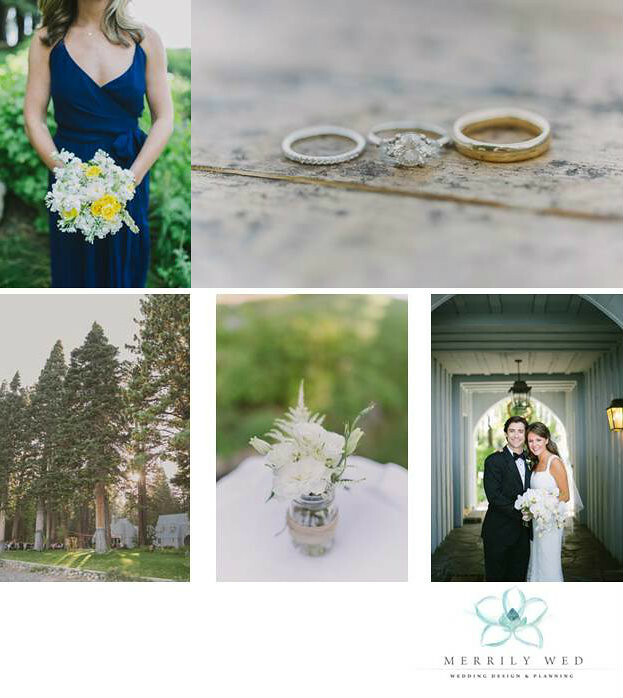 Congratulations to Kate and Neel! Yes, that is the wedding party! 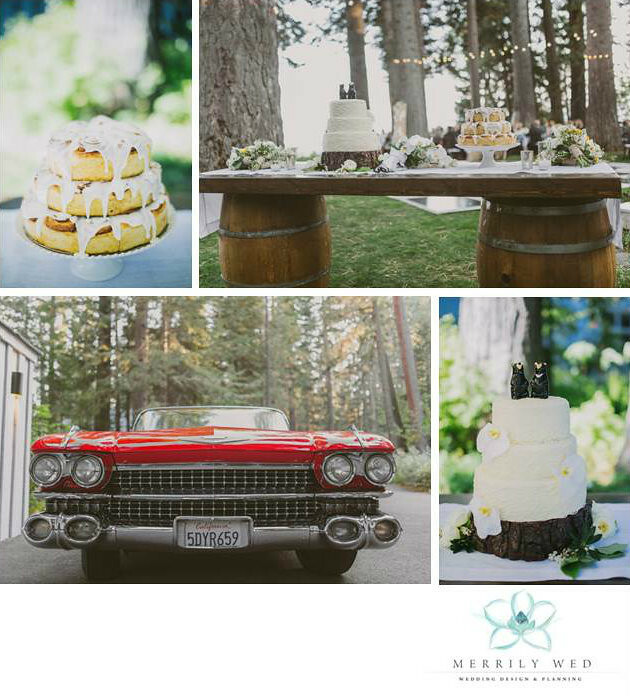 Thank you to our priceless wedding team – Photographer – Caroline Jurgensen, Florist – Martha Bernyk Floral Design, Band – Napata and the Chocolate Kisses, Caterer – As You Wish Catering, Cakes – Sugar Pine Cakery, Rentals – Celebrations Party Rentals.